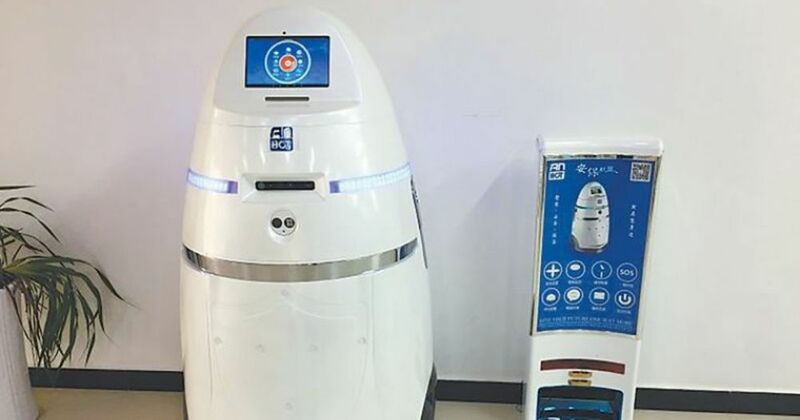 Last week the National University of Defense Technology (NUDT) and a Hunan robotics company jointly revealed what has been dubbed China’s ‘RoboCop’, a mobile robot security guard capable of firing an electric charge. The AnBot (meaning Safety Bot in Chinese), was displayed at the Chongqing Hi-Tech Fair, and stands 1.49-meters tall and weighs 78kg. The ‘AnBot’ robot security guard can alert police when it hears the word ‘help’. The fact that it’s a robot and a cop is where he RoboCop comparison ends. It’s much more like a cutesy low-budget Disney character with a few sinister features. The robot’s creators claim it can patrol at a speed of 1km and hour for up to eight hours, and is capable of charging itself. The AnBot is designed to supplement police in crowded areas prone to riots and terrorist attacks, including airports, subways and train stations. It can also detect biochemical residue. Perhaps its most adorable feature is the fact that it can recognize the word ‘help’, and will automatically alert a police officer when it hears it. Both Chinese and international netizens have jumped to point out a few major flaws with the AnBot. There are the regular concerns associated with releasing a tazer-firing robot into a crowded subway, as well as issues with cost and effectiveness. AnBot also runs into the same issues as the Segway warriors in that it is crippled by stairways. The AnBot a novel solution to a serious problem. China has been grappling with internal terrorism issues that the government blames on separatists from the country’s far west. In 2014 a group of knife-wielding attackers killed at least 30 people and wounded over 130 in a Kunming train station terror attack. It’s the country’s terrorism issues that have inspired another tech initiative that borders on sci-fi: using big data to catch criminals before they strike. Chinese state-run defense company, China Electronics Technology Group, is developing software that can gather information on civilians’ hobbies, activities, jobs, relationships and consumption behavior to map out potential terror attacks and crime incidents before they happen. The AT-100 UAV by Shenzhen Art-Tech, a specialized anti-terror drone used by Chinese police. The project, which has attracted obvious parallels with the 2002 movie Minority Report, could theoretically have future access to information from across China’s biggest tech companies, which routinely comply with official requests for information. 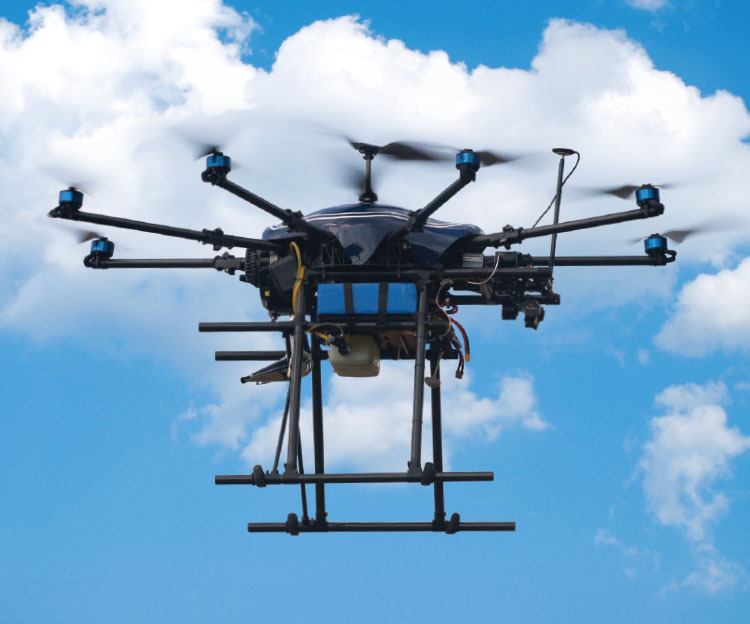 China’s police have also been early adopters of some more conventional security technology, including drones. Guangdong province claims to run daily drone reconnaissance missions to sniff out remote drug dens, while the country’s homegrown ‘anti-terrorist’ drones are being deployed across China.